Ozone Medicare will transform your bathroom into a place of peace and tranquillity where you will recover your sense of calm in an ever increasingly stressful world. Ozone Medicare provides a soothing hydrotherapy massage and Ozone (oxygen) therapy combined to relax your mind and body, relieve painful muscles, detoxify and improve your circulation. Our range of specially formulated essential bath oils with added herbs and minerals assist with further problems such as dry skin, cellulite, insomnia, asthma and premenstrual tension. Designed to protect your health and that of your loved ones, Medi-Care is proudly the big brother extension to our family of products. Established 20 years ago, the group operates in the East, Europe, Dubai, Namibia and South Africa. Our success is largely due to the support and loyalty from our customers and our staff – for thus we thank you. We are excited at our further expansion to the United States and Australia. We are equally excited to confirm that after 5 years of research and development we will be launching the latest ozone foot spa in 2018. Qualification ISO 9000 from inception at our research centre and factory overseas. Qualified for the international EU certificate. Test Africa (government approved authority), have tested and confirmed that we produce the right amount of ozone your body requires in order to benefit you. The amount of ozone we need is between 0.05 ppm to 0.08 ppm. Just like red wine, too much won’t benefit you neither will none at all. We are proud to confirm our range of products perfectly designed, manufactured and brought to you from good health and strong minds. Have you invested in your health and that of your loved ones as yet? When is the right time to invest in our health, now or later? Very simply put, trees and plants produce oxygen (O2). The oxygen molecule is lighter than the surrounding air so it rises up into the atmosphere toward the sun. Once these oxygen molecules have reached between 20-30km into the atmosphere, the sun’s ultraviolet rays convert the oxygen into ozone (O3), a form of “super oxygen”. Since the ozone molecule with its extra oxygen atom is now heavier than the surrounding air, it begins to descend toward earth again. On its journey down toward earth, the ozone molecules purify the air by destroying toxic elements and pollutants, also neutralising pathogens such as bacteria and viruses. Have you ever smelt that fresh smell after a thunderstorm? 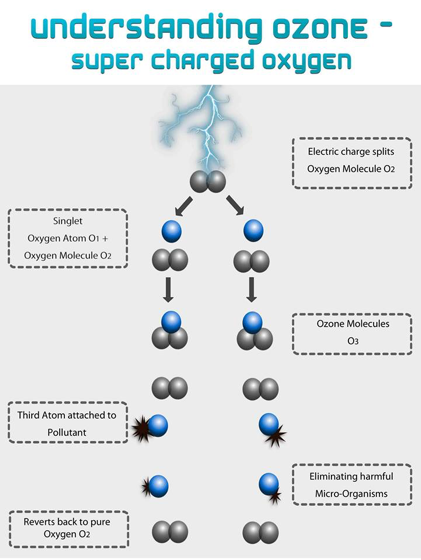 That is how ozone is generated; by the lightning striking through the air during a thunderstorm splitting the oxygen molecule to form ozone molecules. Did you know that ozone is nature’s most powerful disinfectant & purifier and it kills bacteria 3000 times faster than chlorine? Why is our health deteriorating? Many of the trees and plants we rely upon for oxygen for our health is being destroyed. Global warming, pollution from cars, more factories being built are also reasons that are affecting our health. Less oxygen is thus being converted into ozone, which is desperately needed to clean up all these pollutants. This means that we are breathing in far less healthier oxygen compared to that of 50 years ago. This of course explains why we are experiencing such poor health. The ozone that comes down to earth and cleans up all the pollutants in the air that we breathe, is what our cells need to keep our bodies healthy. Should I invest in my health sooner or later? Are or your loved beloved experiencing any of the following symptoms? Aching muscles and build-up of lactic acid from high level of sports. If your answer was yes to any of the above, do you then agree that investing in your health now is much better than doing it when it is too late? Join thousands of happy customers who enjoy ozone therapy daily to combat these symptoms and take back quality of life that you so richly deserve. So how do you take back your health & vitality? Our organisation has spent millions of Rands in perfecting the world patented AquaO3zone Elite. The machine is supplied complete with an ozone generator, applicator, hose, a non-slip rubberised hydro mat, a free therapeutic neck support cushion, a splash proof wireless remote control & a promotional first visit order. In your home, the AquaO3zone Elite is placed directly into your bath without any specialised plumbing or installation requirements. You can therefore immediately enjoy many hours of pleasure and relaxation in your own personal hydro spa. AquaO3zone Elite generates ozone in the same manner as nature does. In the same way that lightning converts oxygen to ozone, a stream of air is passed through the Corona Discharge Unit of the machine where ozone is generated via an electrical discharge. The ozone rich air exits the world patented hydro mat into the bath water via air jets. While you are lying on the hydro mat, the ozone rich air escaping from the jets on the mat comes in contact with your body, thus beginning the therapeutic process. The ozone enters the body in two ways: via the pores of the skin & through inhalation. The ozone entering our body boosts cellular oxygen levels thus allowing our biochemical systems to function more effectively when combatting ailments & diseases. 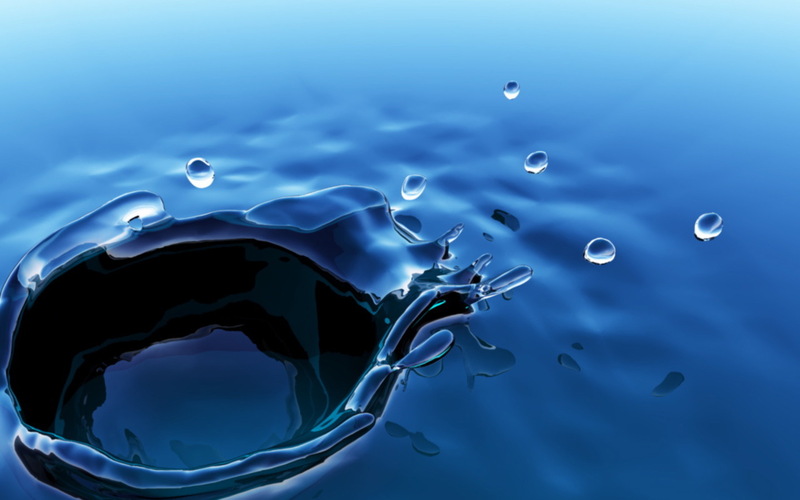 With aqua ozone, prevention is better than cure.